Top row (left to right): 1. Mr Giblin, 2. Mr Allison, 3. Mrs. Schaefer?, 4. unidentified, 5. unidentified, 6. Daniel Martin?, 7. Carol Boothe?, 8. Mike Clarke. Second row: 1. unidentified, 2. unidentified, 3. no picture, 4. no picture, 5. no picture, 6. no picture, 7. Joe Harper, 8. Mary Plummer. Third row: 1. Olympia Lopez?, 2. Tommy Hafer, 3. unidentified, 4. unidentified, 5. unidentified, 6. Mike DeHart, 7. unidentified, 8. unidentified. Fourth row: 1. unidentified, 2. unidentified, 3. unidentified, 4. unidentified, 5. unidentified, 6. unidentified, 7. unidentified, 8. unidentified. Fifth row: 1. Irene Kobierecki , 2. Rebecca Giblin?, 3. Debbie Loomis?, 4. Ken Nunez, 5. Laurie Kent, 6. Lisa Wicksten?, 7. unidentified, 8. unidentified. Credits: Scanned by Ken Nunez. The kids in the picture are members of the high school graduation class of 1976. To find other pictures of the class of 1976 in the archive, see Livermore class pictures listed by year of high school graduation. And if you have any pictures of the class of 1976 that you would like to share, please submit them to the Archive. 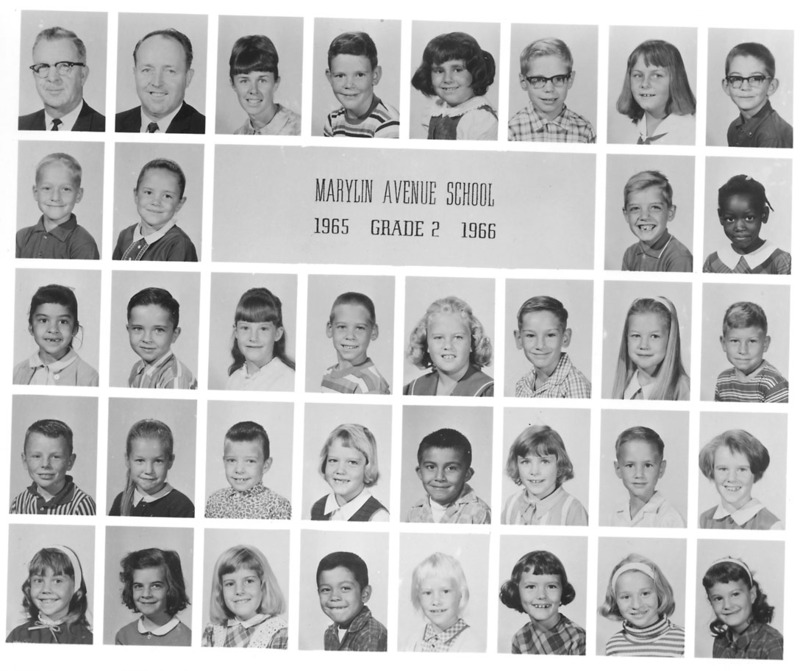 To find other pictures from Marylin Avenue School in the archive, see Livermore class pictures listed by school. And if you have any pictures from Marylin Avenue School that you would like to share, please submit them to the Archive.